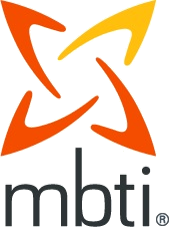 The Myers-Briggs Company represents a range of leading personality assessments that enable individuals, teams and organizations to better understand themselves as well as others; unlock their potential by enhancing their skills and capabilities;and accelerate and transform the performance of leaders, teams and employees around the world. The personality assessments have been utilized by organizations and individuals in areas such as leadership development, executive coaching, team development, conflict management, career exploration, selection and talent retention. These instruments are based on extensive research to ensure their reliability and validity. Some of the instruments are restricted and require that you attend a certification program to qualify to use and purchase them. Improve the performance of your people by helping them understand themselves and others. Used by 89 of Fortune 100 companies to maximizing individual and team effectiveness from entry to executive levels. Selected by the nation’s top colleges and universities and by institutions worldwide as the foundation tool for student and alumni career development. Help individuals, leaders and teams to build effective and successful working relationships. Initial psychological research that the FIRO-B® is based on was conducted for the United States Naval Research Labs. FIRO-B® is an acronym for Fundamental Interpersonal Relations Orientation-Behavior. We have been the exclusive publisher of the FIRO-B® for over 30 years. Empower career search and lifelong fulfillment with the most trusted career planning tool. Explore the deep and complex insights of individuals for talent selection and leaders’ development. Complements your leadership development, performance improvement, succession planning, and selection programs. Has exceptional reliability and validity with a normative sample of 6,000 individuals. Harness conflict management strategies and help your people work together more effectively. Has rock-solid reliability and validity, with built-in control for social desirability. Demonstrates that different behaviors are neither good nor bad but simply different ways of dealing with conflict. Can be used with the MBTI® assessment for deeper insights into personality and conflict management. Uncover their team player styles and help team to work together more effectively.